First comes love, then comes marriage, then comes Honeymoon Israel and the baby carriage. Lots and lots of baby carriages. With regards to the correlation between Honeymoon Israel and babies, our data shows that many couples who choose to apply and ultimately participate on Honeymoon Israel are doing so with family planning in mind – and typically around planning for their first child. In the Bay Area specifically, approximately 50% of Honeymoon Israel couples have either been pregnant while on the trip, or become pregnant within the year after returning home. 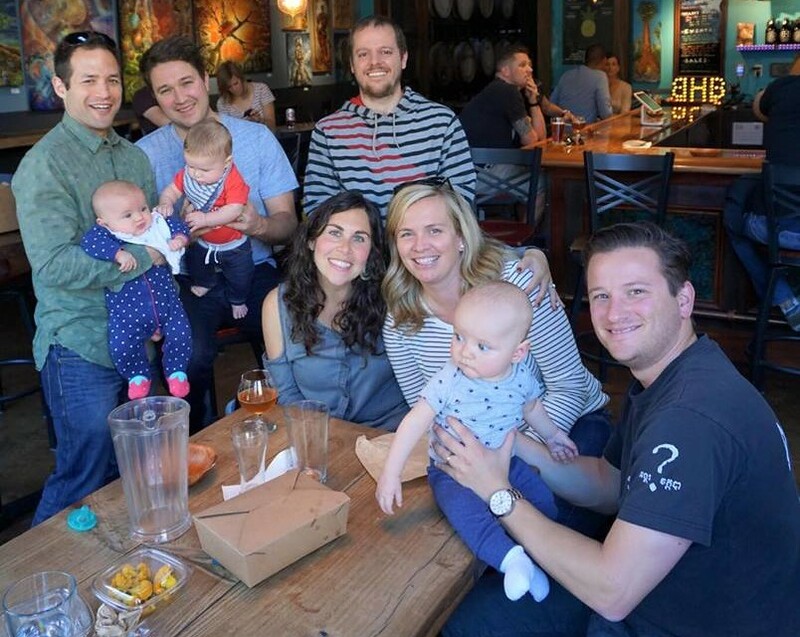 A bib from Jewish Baby Network, an organization that operates in San Francisco, the Peninsula and the South Bay and provides resources, Jewish-focused family events, playtimes, birthing classes and more. Their first PJ Library® book. PJ Library sends free, award-winning books that celebrate Jewish values and culture. PJ Library is regionally based, so we make sure to include the region-specific registration information along with the family’s first book. Brochures from Sprout: Sprout supports families in the East Bay with personalized referrals and grants for Jewish life and summer camps. Brochures from local JCCs: JCCs are at the center of building and preserving Jewish life. They offer a multitude of programs and have locations in each region that Honeymoon Israel serves. Each of these organizations has something different and valuable to offer new families, and we love helping facilitate those connections. Honeymoon Israel parents adore these baby packages and, through the information provided to them, are becoming acquainted with the wealth of resources that the Bay Area has to offer. One couple commented, "We loved receiving our HMI baby care package! The resources have helped inform how we introduce our culture to our son.” Another couple shared, “After the arrival of our little one, we received a new baby care package from HMI. It introduced us to PJ Library, which is helping build our library of Jewish-themed books. We get one in the mail every month and each one is great!" 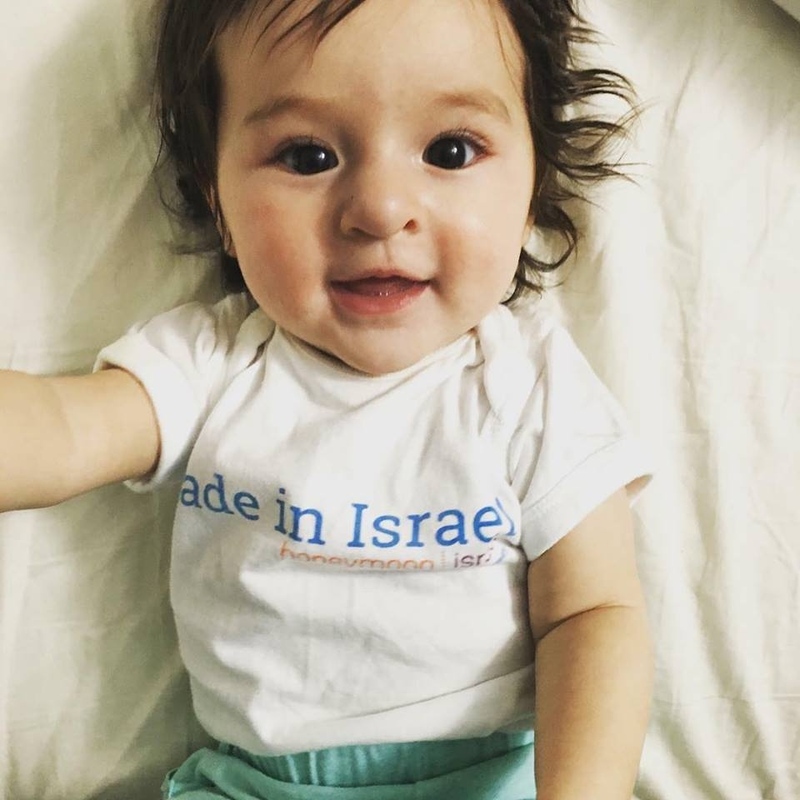 Hasidah, an organization that raises awareness about infertility, connects people to support resources, and reduces financial barriers to treatment in the Jewish community. JScreen, a community-based public health initiative dedicated to preventing Jewish genetic diseases, which offers an affordable and easy way to do genetic testing for couples. In general, Honeymoon Israel aims to support couples’ journeys in whatever way they need or seek out. It’s not only about the 10-day trip to Israel, it’s about what happens when these couples return home. Lisa Motenko is the Director of Community Engagement, SF Bay Area at Honeymoon Israel. If your organization is interested in supporting local Honeymoon Israel couples once they return home to the Bay Area, contact her at sfbayarea@honeymoonisrael.org. The Federation has partnered with and supported Honeymoon Israel in its local work by providing two years of seed funding for the Bay Area cohorts, while collaborating on its programming by referring candidates for trip staffing, providing conference room space for interviews and orientations, and facilitating new partnerships with other local organizations and programs.